One thing about life as we know it here on earth that will never change is that change will happen! Life changes ~ daily sometimes or so it seems. As we get older our priorities change as our circumstances alter ~ for example we may find ourselves alone after spending countless years caring for others or we may find ourselves jobless and maybe even unemployable. Change is something most of us dread even fear, yet it is change that forces us out of our comfort zone - it is change that pushes us to do our best regardless of the circumstances. What are you facing at the moment ~I know personally I am facing heaps of changes in my own life as I grow older. Some changes for me have been for the better and some have been for the worse. Depending on how I look at it from my own little window of the my world. Change is no respecter of persons. 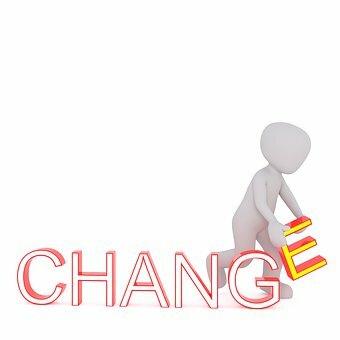 Change, no matter what it is has an adjustment period that can make or break you depending how dramatic that change can be. Change can rip us from our comfort and will force us to follow even if we keep on refusing to let go, or change can be a welcome guest giving us confidence and flexibility. Change can force us into an "endurance trial" often involving some mental anguish, heaps of worry and a "when will it ever end" sort of treadmill, which if not unchecked can send some completely over the edge. Change can be great and change can be so so rewarding it can also be so very awkward. 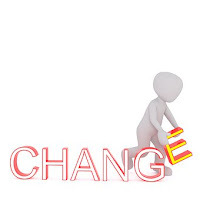 Change can require an adjustment period which can vary from minutes to hours to days to years. 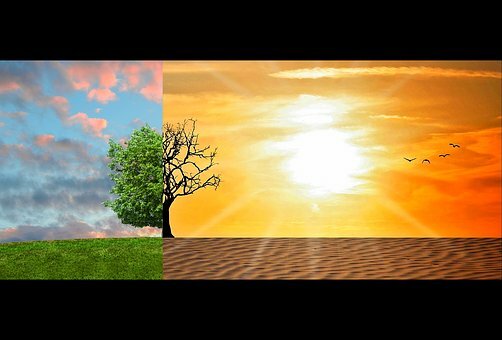 If we are in a time warp of not wanting this change to happen, time can seem so slow, yet for those embracing change it can seem like a tornado of super-fast speed crashing into our lives and changing us for good. Change in our lives can certainly impact us and indeed can effect all who are closely connected to us. We can learn from change and when change is forced upon us we have to learn very fast indeed! As we get older this change can effect our bodies as well ~ for example change in our health or sleep patterns can have marked effects on our lives and these things can certainly change the very dynamics of our lives in dramatic and often hard to cope with ways. We have choices here ~ we can embrace whatever changes that are happening in our lives and recognise them for what they are or we can resist with all of our might and often cause us endless years and years of pain. The good news is that God has a plan for our lives if we can trust Him and allow change to grow us even if maybe in a different direction from what we first thought. Jesus said that all things work together for good for those who love and obey Him. Even change. How is your courage and boldness when it comes to change? I must admit that my courage is somewhat limited when it comes to some changes occurring in my life. I can't help thinking about Mary the mother of Jesus and what God's plan for her life actually meant. Her reputation would be shot and in those days, as is now in some parts of the world, she could easily have been stoned to death. Her relationship with Joseph was be jeopardised. Her whole future was thrown into uncertainty. Then she had the terrifying responsibility of raising THE most single important child ever born. Through all of this what was her humble response? "I am the Lord's servant". Whatever it took for God's will to be accomplished, Mary was willing to do regardless of the personal cost to her. As followers of Jesus we all must be prepared for God to initiate extraordinary changes in our lives. Let's set out this week to embrace changes and welcome the differences in our lives and may you have peace and encouragement as you face the ups and downs in your life.